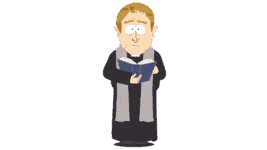 A poor priest was having trouble managing his church. 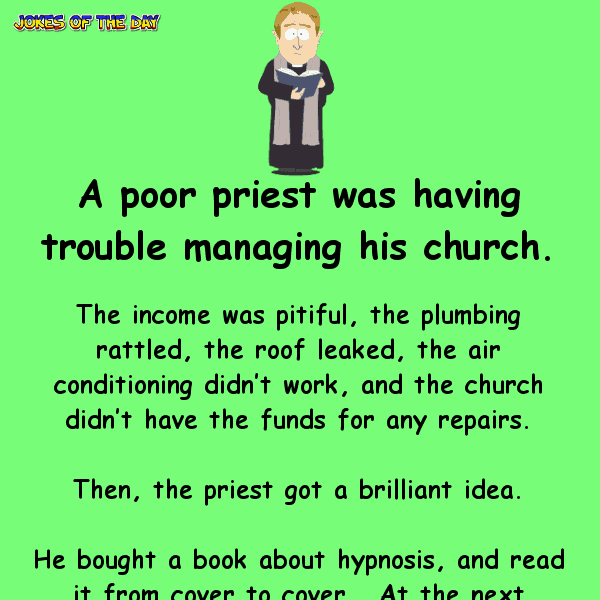 The income was pitiful, the plumbing rattled, the roof leaked, the air conditioning didn’t work, and the church didn’t have the funds for any repairs. He bought a book about hypnosis, and read it from cover to cover. At the next service, he took out a cross on a chain, swung it back and forth, and lulled the congregation into a hypnotic trance.